The reason we can be gentle and effective is because we practice a very specific, specialized form of neurological chiropractic known as Torque Release Technique (TRT). TRT allows us to take a ‘nerve first’ approach which is very unique within the chiropractic profession. Most chiropractors take a ‘bone first’ model. In this model, they feel which bones are out of place and ‘adjust’ them back into place. This is where the twisting and turning is required. However, if the muscles that are attached to the bone are tight, it is often they pull the bone back out of place. The same bone then has to be adjusted over and over again. Because of this, other approaches focus on stretching and strengthening the muscles to pull the bones back into place. They may also include ‘electrical stimulation’…where sticky pads are put on the back and it feels like a tingling, pins and needles sensation. However, what part of your body tells the muscles what to do? The brain and nervous system! Muscles don’t contract on their own. It is only when the brain sends a message through the nerves, down to the muscles, that they contract. This is the reason we take a ‘nerve first’ approach. By affecting the nervous system first, the muscles relax, and the body can then move the bones back into place. We don’t have to ‘force’ them back into alignment. In addition your nervous system controls all the function and healing in your body. A neurological approach allows all body systems to function optimally. You’re looking for extremely gentle, yet powerfully effective chiropractic care (no twisting, turning, popping, or cracking…and even better results). 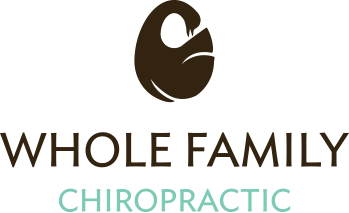 You’ve been to a chiropractor before, and are tired of having the same spots adjusted over and over. You’re wanting help with a long-standing concern. You experience lots of day to day stress. You want to optimize you and your family’s health and well-being, now and in the future.